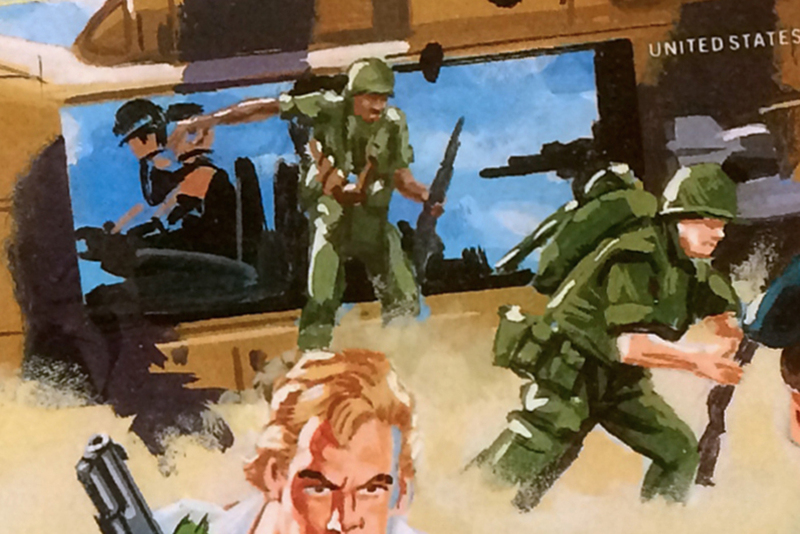 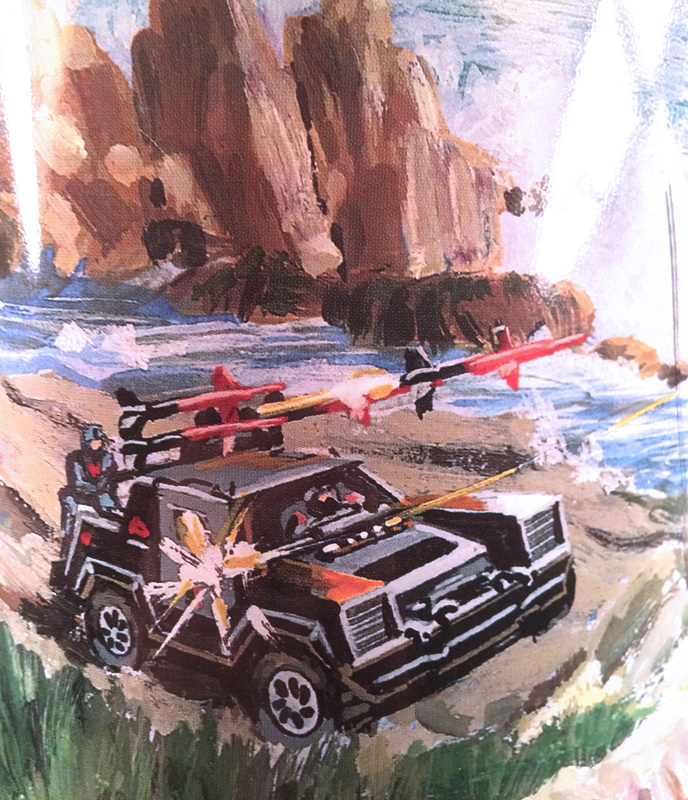 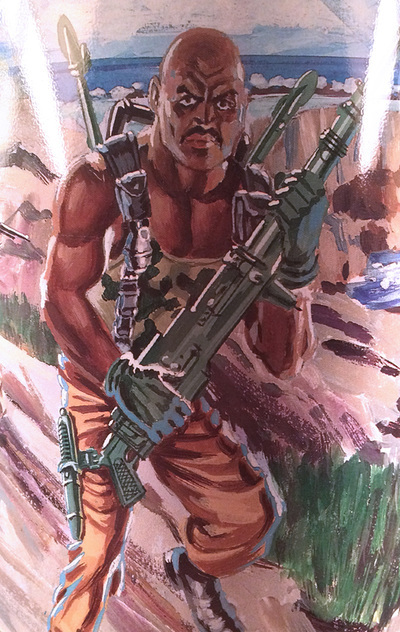 ​The art for Falcon, Chuckles and Recondo is reminiscent of their original card art, but it is an entirely new rendering. 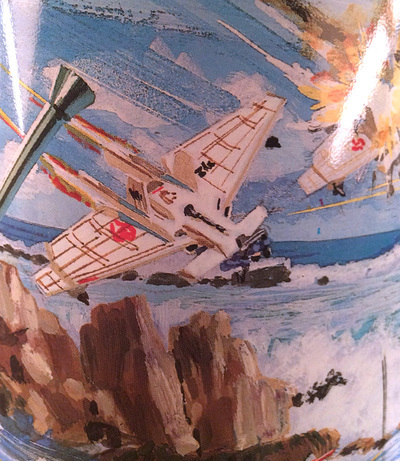 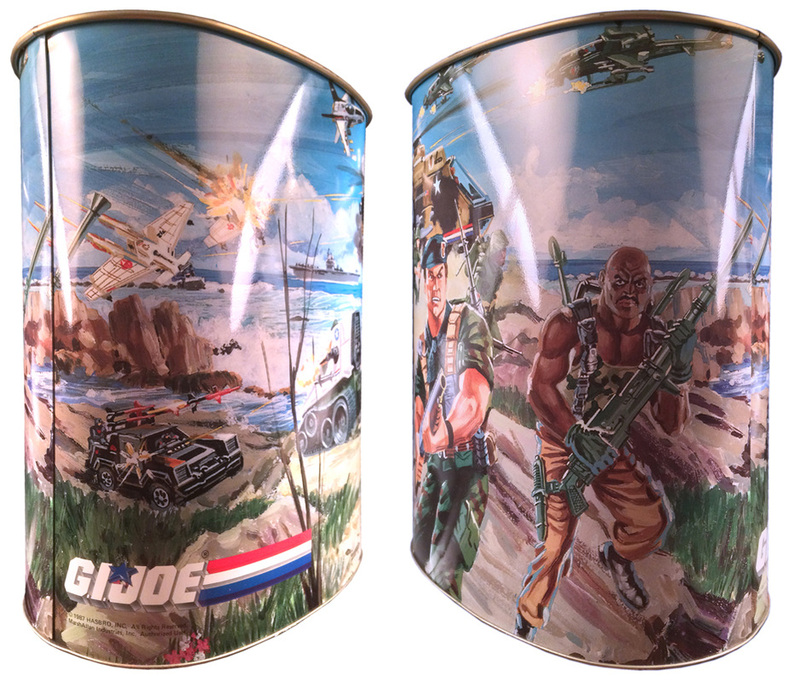 ​The trash can features the same painting as the dinner tray, but reveals a much wider scene! 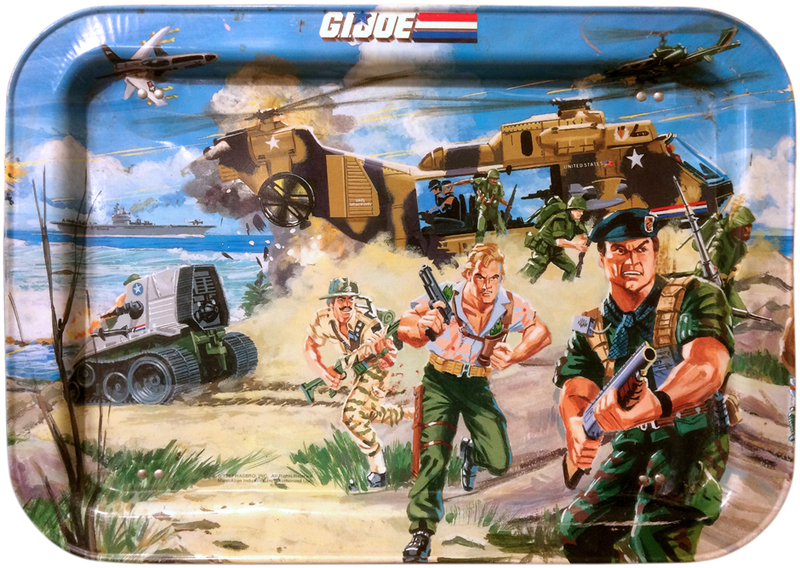 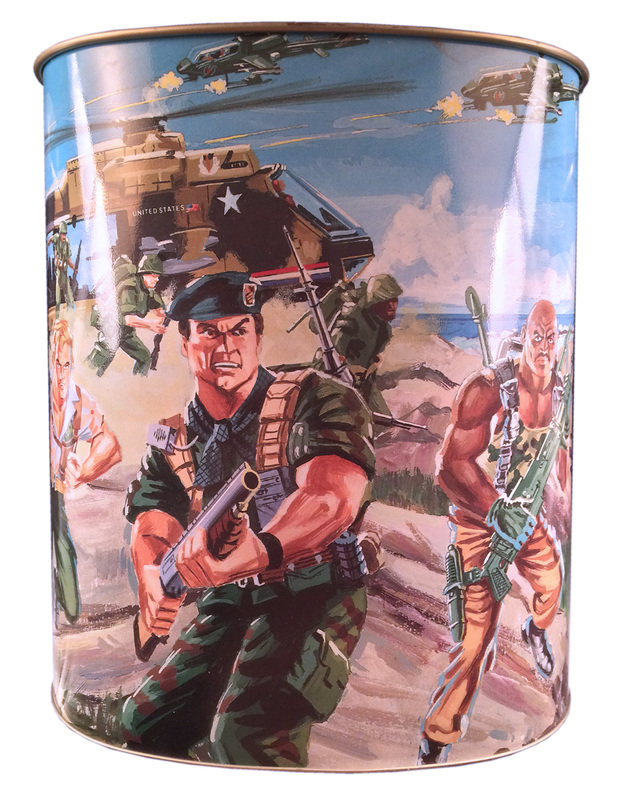 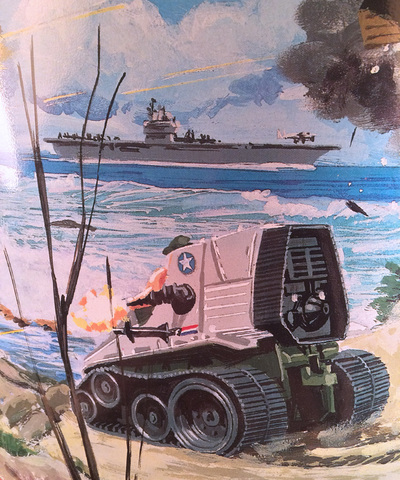 The dinner tray didn't show any Cobra forces, but the trash can reveals who the Joes are battling! 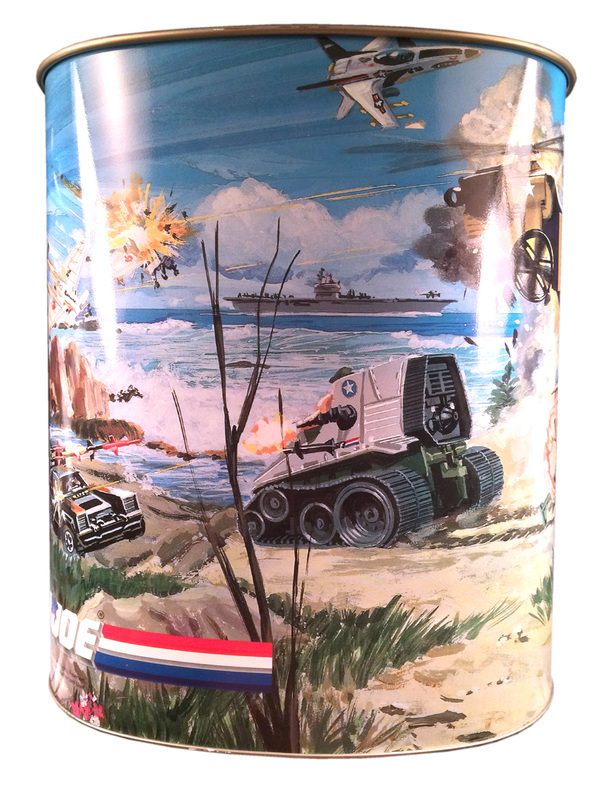 ​Trash can photos courtesy of Dan Moore.